Perfect 8 button layout for my FPS games. I had to ditch the mouse that came with my keyboard combo. This one has DPI settings up to 4000 and a sniper button. High build quality and very responsive. MicroCenter had it on sale for 39.99. 20 bucks off retail. Light and works well with my XIM4 on my Xbox 360. I'm in love with this mouse. 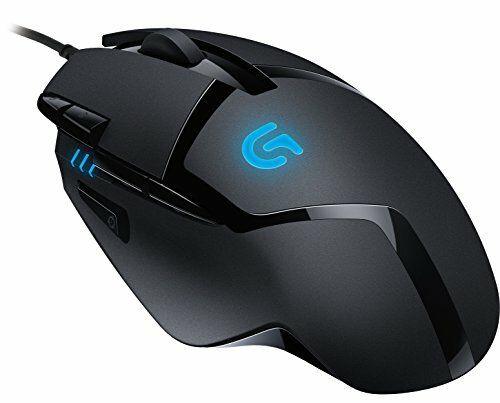 This mouse is very good for gaming, the only con i see is that its wired but good wireless mouses are much more expensive so i had to deal with the wires.. Would recommend. This mouse has endured literally a thousand hours of gaming and it keeps on going. I beat it more than I'd like to admit and it still provides me the best optical experience I could ask for for $45 bucks. 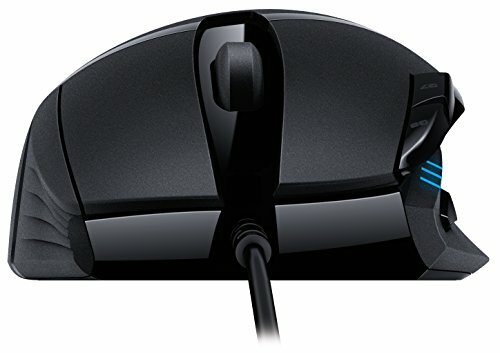 Kudos to Logitech! Great mouse. I find that it fits my hand well and the "sniper" button on the side is useful for all of us battlefield campers. It lacks some of the features of the G502 (RGB lighting, braided cable) but it gets the job done. This mouse didn't make me super good at video games (I didn't really expect it to), but it IS super comfortable and fits my hand like a glove. Plus, I love all the customization options and the lighting effects. It's not JUST good for FPS games, it's good for everything, from web browsing to Civ V. I even have the two side buttons controlling my audio volume which is super convenient. A comfortable, affordable gaming mouse that doesn't just work for first-person shooter games. Very fast, and in my opinon , it fits nicely into ones hand.